How to burn fat with Green Tea? 2 How to intake green tea for weight loss? “Eat Healthy, Stay Happy” this is our main mantra now a days. It is indeed true that healthy eating can let you live happily and ensures proper body growth. It is due to unhealthy food habits of people they are suffering from obesity. Here I am going to tell you the easiest way to get rid of this increasing fat. You will be shocked to know that drinking tea can help you a lot in achieving your so called aim (getting fit and slim body). But this is not normal tea with added sugar and milk, it is the healthiest beverage present on earth “Green Tea”. 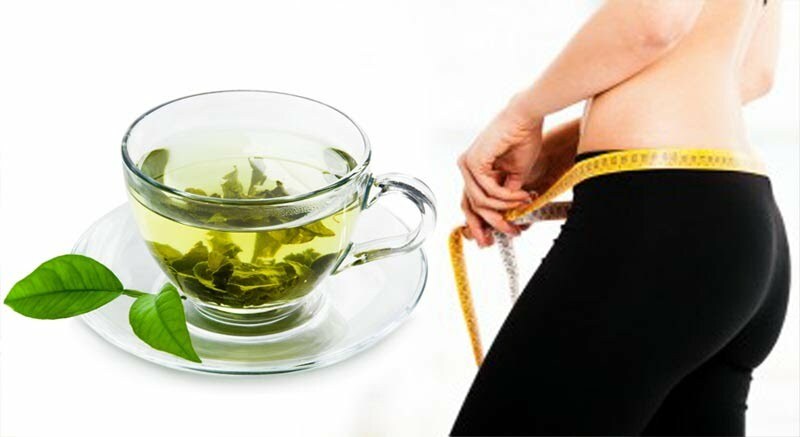 It has been scientifically proven that green tea if taken on daily basis will reduce your body fat in a very short span of time. It contains various antioxidants that are beneficial for our health. It is not mere hot water but the bioactive substances in the tea leaves dissolve in water and make it into final drink. Green tea increases our metabolism rate and results in faster burning of body fat. It increases the secretion of hormones which enable fat cells to break down and release fat into bloodstream to produce sufficient amount of energy. Various studies and researches show that green tea let us burn more calories, even at rest. Drinking green tea daily helps people burn about 3-4% more calories each day. How to intake green tea for weight loss? Green tea is available as powder, processed leaves and tea bags. Any of the option can be chosen but powder is the most effective alternative. Take a cup of water. Let it boil. Take it off from stove and add one table spoon powdered green tea to it. Leave it for 2-3 min. Now filter it out and your healthy drink is ready for intake. Same procedure is to be followed with tea bags and leaves. If you want to see quick results then have at least 4 cups of tea daily. Take green tea after every one hour of your meal and again maintain a gap of at least one hour in your green tea and next meal. It not only helps in reducing fat but also makes your skin shiny and glowing. It has been found that green tea has one component which kills cancer cells. If you are also doing regular exercises or work out then green tea works much more effectively. You can get faster results. But it is advised to avoid flavored green tea which contains added sugar because it has more calories and its intake is not that much beneficial. There are many variants available in the market for green tea as Lipton, Tetley etc. But “Matcha” which is a powdered tea seems to be more effective if weight loosing is your main aim. So enjoy your meals and live healthy by adding 3-4 cups of green tea to your daily routine. Get addicted to it and stay happy. Keep reading for more interesting and healthy tips.